Was 2012 a good year or a bad year? It depends what you're talking about, but if you're talking about the Indiana ACFW Chapter, I'd go with the good year part. Being at the threshold of a new year, I have interviewed our chapter officers about what God has been doing through their lives and ways to make 2013 a better year for the chapter than this past year had been. I took the liberty of color coding the officers, so it may be easier to see who's speaking. So without further ado, I'll start my interview with Rick Barry, Darren Kehrer, Dawn Crandall, and Sue Bixler. Jeff Reynolds: Rick and Darren, thank you very much for your continued service (or for being gluttons for punishment, whichever you prefer). How are you two looking to build on what you've previously accomplished? Or is it more like a Toastmaster friend said in taking a second term for the office, to be able to do it right the second time (or in Rick's case the fourth time) around? Rick Barry (President): How are we looking to build? First, let me say that, with the aid of our state chapter's board, I'm pleased with what we've built these past few years. Our chapter's newsletter is looking more attractive and with more content than when I took a turn producing it a few years back. Also, in 2012 we did an experiment and bumped up our number of author luncheons from three to four. Guest speakers were nationally known professionals in Christian publishing: Authors Travis Thrasher, Colleen Coble, Janet Dean, Bob Hostetler, and editor/author Holly Miller. Each of them made a good contribution to our Hoosier writers. Concerning getting it right the second (or my fourth) time around, leadership is a learning experience in itself. After each event, I solicit suggestions for how to make the next one even better, and those who attend have offered excellent input. They might call me the chapter president, but good ideas from fellow writers help tremendously in my role. Darren Kehrer (Vice-President): Jeff, thank you for allowing us to be interviewed. Well, I think our overall goal in the 2012 has been to organize, expand, and to grow our chapter membership and what we offer. We developed our website beyond what we thought it could do as well. Planning has been a large part of our mission as well. Our newsletter has grown by leaps and bounds in regards to design and content. That said, our focus for 2013 will be to expand on what we accomplished the prior year. I'm changing software (Apple Pages) in hopes of expanding what our newsletter has become. JR: Dawn and Sue, I'm sure the Indiana Chapter appreciates you accepting the challenge of being officers. What inspired you to take the plunge, and what would you say to encourage those thinking of doing the same next year? Dawn Crandall (Secretary): First of all, I heard about the need and knew in my heart that I was willing to fill it. I knew I would have the time in the coming year to dedicate to something like this and wanted a chance to make our Indiana Chapter everything it's able to be in the future. Being a member of the "Great Lakes Chapter" in Michigan as well as here, I have the opportunity to see firsthand what is happening within chapters around us. This also helps me get to know other writers. I've only been writing for about three years and feel very new to all this. I think being an officer for an ACFW chapter is a great idea for anyone who thinks they have the time and abilities to commit to it. Sue Bixler (Treasurer): What inspired me to take the plunge? Someone telling me I was needed and then praying about it. Always pray and get a sense if this is what God wants you to do. your life, and through you into the life of others? RB: Great question. For one thing, the ACFW national conferences have greatly increased my awareness of trends in the publishing biz, plus specific do's and don'ts. Being associated with such a community of authors provides not only answers to questions, but a network to tap for advice, endorsements, etc. I recently aided a fellow writer with her chapters that take place in Moscow (that novel is now published). Certainly, it doesn't hurt my query letters when I can add "President, ACFW-Indiana" beneath my signature, and it gives extra credibility in my byline for articles. 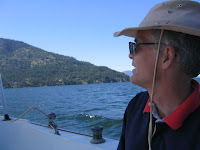 ACFW has lifted me to a higher level of skill in writing, and I in turn want to do the same for newly emerging writers. It would have been tough for me to accomplish these things working solo at home, with no author connections. DK: Seeing the Chapter from "the Board" side has really opened my eyes on what it takes to make such a thing work. For me the biggest outcome has been the networking with other Christian writers and the friendships that have resulted. My biggest involvement has been with the local chapter (as it was my first year on the board). Nationally, still pursing my function there. DC: I became a member of ACFW in July of 2011 because my husband was intent on sending me to the national ACFW conference in Saint Louis that autumn. When I was about finished with "my first try at writing a novel" (after about a year of focusing upon it), he said he wanted me to find out what it would take to get it published. Ha ha – I know. The poor man had no clue how difficult an industry it is! But I wasn't about to say "no thanks" to going to conference! So I went knowing absolutely no one. However, I ended up receiving a mind-blowing paid-critique of my first 30 pages by a well-known published historical romance author and had meetings with two very reputable agents, both of which who offered me representation within a week of receiving my proposal. Essentially, I'd met and formed friendships with only about four other aspiring writers before getting an agent... and still didn't even have a critique partner. I have since found a critique partner through ACFW (and found that writing a book with one is SO MUCH easier than without!). But really, I still feel very disconnected. I don't think I've been around long enough so far that I've really been able to help anyone in reference to their writing or their career. I still feel like I'm more in need of such things than in a position to offer my own advice or knowledge to anyone else. But I do look forward to helping and encouraging other writers through our chapter meetings and gatherings in whatever way I can. SB: How has God used my membership in the ACFW in the life of others? *smiles* Up until now, I've no idea. But hopefully as a member of the Indiana chapter board I'll be able to serve Him in a way that will be pleasing to Him and the chapter. On a personal note God has used the ACFW and my chance to work at the 2010 conference as a volunteer to meet other writers. God used the conference as a means for me to meet some of my Scribes Critique partners. It was extra special to put faces to names and get real live hugs at the conference. I think working with the Indiana chapter and getting to know the Indiana members will be the best. JR: Scripture says that without vision people perish. What is your vision for the Indiana Chapter for 2013? Or, if you prefer, what would you like to see happen in the coming year? 4.) To see more of our members get published. 5.) To get those interested in possibly holding an office asking questions now. DC: I would like to see many more meetings, perhaps even a small day-long conference-type gathering in Indianapolis with our own published authors as speakers sharing from their good and bad experiences in the publishing industry. Perhaps we could offer a small number of agent and editor appointments at this gathering. SB: I'd like to see our meeting attendance grow and also to see MORE meetings, especially a meeting in the southern part of the state. JR: Thanks to each of you for your time, and I'm looking forward to seeing how God works in our chapter through the four of you. AND DIRECTED TO THE REST OF YOU: I hope you didn't miss Darren's last item on the final question. I had the privilege of serving as secretary last year. Hopefully, this will encourage some of you to consider office. It would be great to see more people wanting to serve than there are offices next year. You can click on the board tab of this page (between membership and contact) to find out the responsibilities. And if you have any questions, I'm sure any of the officers would be glad to answer questions. May the Lord Jesus Christ bless you this coming year. Jeff Reynolds: Laura, what has led you to write fantasy aimed for teens? 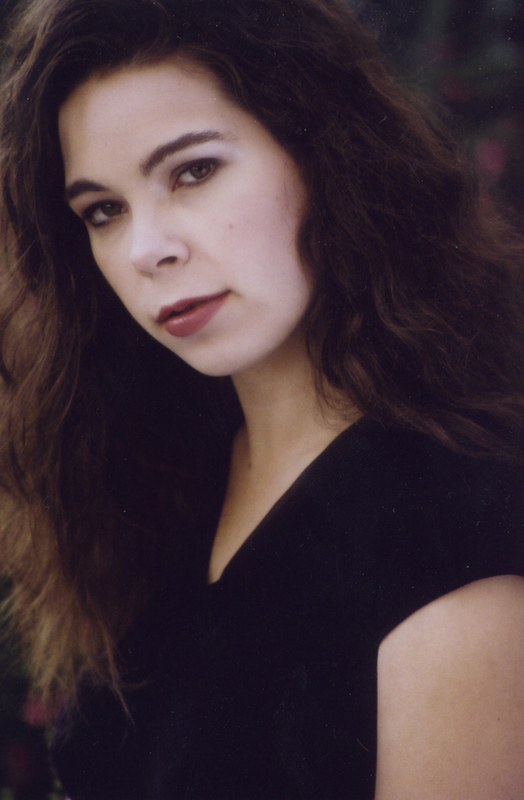 Laura Popp: I started writing for young adults when I was a young adult, at about 15. Now I'm 26, and I'm still hooked. From a missions standpoint, I consider them my "people group." I can’t think of a more confusing or exciting time than being a teenager. The world (or the universe, in Treasure Traitor's case) is wide open. Their career, education, life partner, dreams. They're searching for their identity. It's my prayer that they will find their identity in Christ. To do that, I have to speak their language. Teens hate being preached at and being told what to do and believe. Therefore, fantasy is ideal. I can get across a message in metaphors rather than beating them over the head with a Bible. In a universe torn by war, two governments vie for power: the elemental Kingdom and the telepathic Hierarchy. Hierarchy women with animal bonds think nothing of sacrificing their beasts’ lives to protect themselves. The Christian element comes in with the characters' names. Renagada is a "renegade" from the planet "Hamartia" (sin). To save Acha, she travels to "Village Charis" (Village of Grace). She's committed a terrible sin at the beginning of Treasure Traitor and fears eternal punishment from the vengeful gods of her world. In Village Charis, she learns about a being named King who died for everyone in the universe, and by trusting in Him, our sins are canceled on the eternal scale. LP: Ha, ha, that's a good question! As a beginning writer, people always told me "write what you know." Since I write science fiction and fantasy, I wondered how that's possible. I've never flown a spaceship or met an alien! But I soon realized that even though I couldn't live on another planet, I could live in another country. I wanted as many different perspectives on the world as possible so I could create my own worlds. After a trip to Malawi, Africa, I felt God calling me to share the kind of hope they had, despite having nothing, with a nation that had everything, but didn't know Christ. 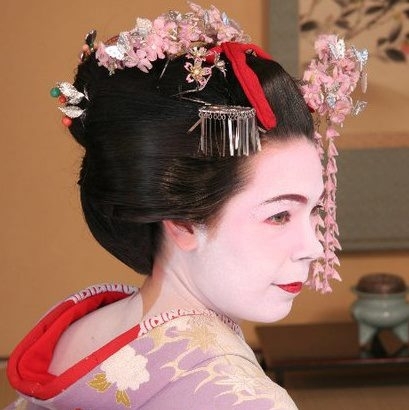 So I lived in Japan for two years as a missionary and English teacher. I had the privilege of being there during the earthquake/tsunami, and despite the devastation, I got to see God's love shine through and several come to Christ. As for people of foreign languages being "translated" into my story, Renagada's native language, Kakra, has high and low forms based on Japanese. In other words, there are three ways of speaking: superior to inferior, same level, and inferior to superior. (Of course, I render all their speech in English and simply give a nuance of how their language sounds. For example: "The stars blessing on you, wayfarers," for the speech of superior to inferior.) Other than the language, though, Renagada's people are based largely on Indian appearance and culture, since I spent 10 days and then 3 months there on a mission trip. When foreigners try to speak her Kakra language, I imitate how my English as a Second Language students sound when they try to speak English. They leave out words like a, an, and the, forget to make words plural or past tense, mispronounce things, etc. For example: "You go buy flower yesterday?" The Kingdom is more European in its inspiration, but it's not a flattering comparison. The Kingdom Seekers are the imperialists, the conquerors, the crusaders. Only a few of them, such as Charis, the leader of Village Charis, wants to share about King to People of the Hierarchy like Renagada. It's sort of a wake up call to the church to rethink how we do missions. Why do we expect foreigners to to build big Western churches and sing our Western songs? Fortunately, things are a lot better than they used to be. You'd be surprised, though, how many people get Western culture and being a follower of Jesus mixed up. JR: Sometimes a story takes you where Christian publishers and readers are a bit squeamish, and my hunch is that may be truer when writing for teenagers. Did you face that kind of dilemma with your story, and how did you resolve it with your publisher/editor/agent? LP: Yes, I definitely faced that. There's a couple of places in Treasure Traitor where Renagada doesn't make the best choices. I wanted to be realistic. Nobody can relate to a perfect character, and besides, the only perfect person died and rose 2,000 years ago. Renagada makes two particularly bad decisions, one in the middle of the book, and one towards the end, and the publisher almost made me change both. We did rework them a bit, but my editor was for me keeping them in. Together we were able to show the publisher that they were essential to the plot and the growth of the character. What's important is that the character learns from her mistakes, makes a decision to live differently, and moves forward. JR: What's next on the horizon? Both regarding your writing and any future missions trips? 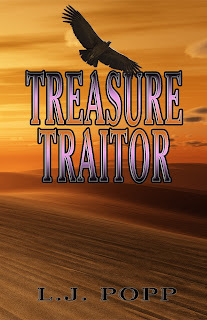 LP: Treasure Traitor is the first in a trilogy. We're shooting to have the sequel, An Honest Assassin, out by next November. Other than that, I’m working on two other series right now, Dargon the Human Slayer (a secular middle grade fantasy trilogy) and Children of Light (an adult Christian fantasy), plus a Christmas picture book with my dad, 'Twas the Year of the Census. As for missions, I currently teach English as a Second Language for the YWCA, and I count that as my mission since I'm around foreigners who need to know Jesus all day. I'm also trying to develop my speaking platform. So far I've only been able to present at Christian organizations, but I'd like to get into secular schools in both the U.S. and abroad. I think God might be calling me to go back to Japan eventually, possibly to teach at Okinawa Christian school (since most of the students are actually non-Christian), but that's not clear yet. Right now I feel called to focus on my writing and teaching here. JR: Thank you for your time, Laura, and hope you have a blessed day. LP: Thank you, Jeff! It was great writing to you. 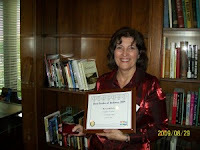 I'd be happy to answer any questions or comments from your readers, or they can email me at laurapopp (at) ymail.com. I'm running a special. 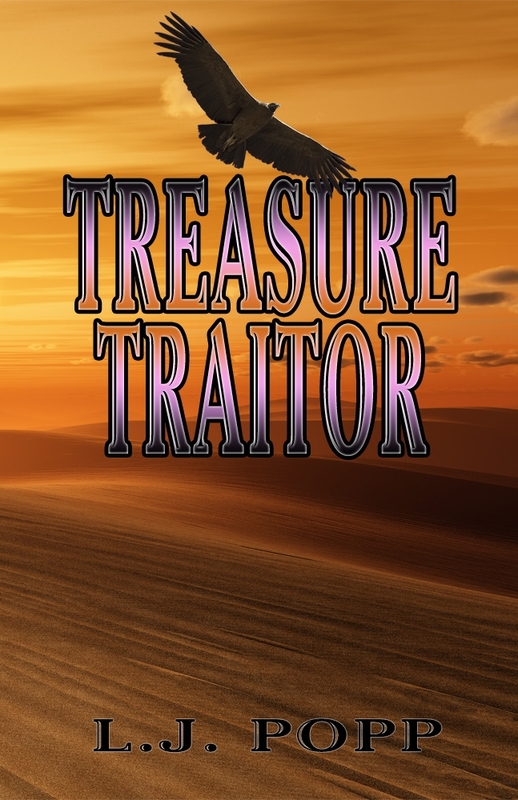 Anyone who orders a copy of Treasure Traitor can mail it to me, and I'll sign it and mail it back, free of charge! http://ljpopp.wordpress.com- Young Adult Fantasy on a Journey. Christmas is barely over and the new year hasn't even come, so why do I want to spoil your holidays with the word "taxes"? Actually, I'm just someone who doesn't believe in waiting until the last minute. This post isn't about how to convince the IRS that writing is your business. I wrote about that on March 25, 2010. Nor does it talk about deducting your home office expenses. That post was dated December 23, 2010. It's about Social Security taxes. Last spring a writer friend e-mailed me because he didn't want to believe what his accountant told him. Unfortunately, his accountant was right. My friend had to pay Social Security taxes on the advance from his debut novel. 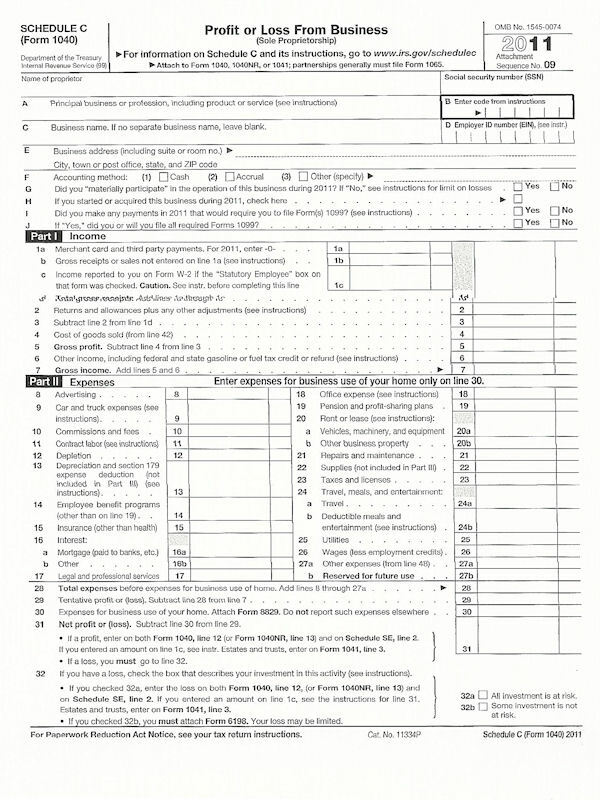 Actually, the technical term, and the one the accountant probably used, is "self-employment taxes." The self-employment tax is a Social Security and Medicare tax for self-employed individuals. And when you write as a freelancer, you are self-employed. If you make more than $400 from your writing business, you must pay the self-employment tax. 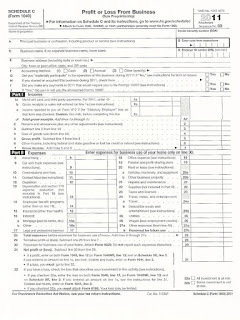 This is in addition to your income tax. Fortunately, the $400 floor is net, not gross, so you don't have to pay when you have some income but still lose money. But if you make enough, you have to pay even if you are already receiving Social Security benefits. Because Uncle Sam will get you if you don't. During this time of year, my retail life dominates every minute of every moment of every day. This being my “full time job,” my writing life takes a back seat during this Holiday season. Until the Lord changes that, I have to make the best of it. That stated, I’ve recently had an experience that has served to inspire my forthcoming writing journey (or more accurately, the continuation of). Recently, NaNoWriMo inspired one of my writing mentors. It inspired him to write every day and to keep to a writing schedule. The overall result was a focus to write each day (sounds simple, right?). Has there ever been a more truthful statement about writing? Yes my current writing time is down to the bare essentials, but I have truly enjoyed watching his excitement grow as I get texts, emails, and have conversations based upon his ever-growing manuscript. It has been wondrous to watch the story grow and develop (and being slightly part of that entire event). For me, this process of observation has built up a great anticipation for the “after the Holidays” time that all retail employees look forward to. In my case, this means I’ll be getting back into my writing routine to get my manuscript back on track. "I didn't even get to say goodbye to her," my son sobbed as we drove away from the vet's office. We had tried to hold back tears the whole time. Something was seriously wrong with our blue heeler, Josie. Earlier that day she wouldn't eat or drink, acted sore all over, and worst of all, was wheezing and panting. Politely, just to please us, she took a baby aspirin wrapped in cheese and baloney. She could barely get it down. Did she have a broken rib? Had she been kicked by one of the horses or head-butted by one of hte cows? Had she eaten rat poison? Did she have pneumonia? We had called the local vet but they were closing within minutes and directed us to call an emergency service. They weren't open yet. Desperate, we called the cow vet for some advice. He suggested another vet's office in town. These people didn't know us from Adam, but said they would see Josie. I wonder what they thought when we rattled up in the farm truck with a horse's lead rope fastened to Josie's hunter orange collar. That was our first picture of grace. We were strangers to them, but they offered to look at our dog. The first vet seemed only a few years older than my kids. She got down on the floor with Josie and started to examine her, then took her away for X-rays, suspecting a broken rib as we did. The X-rays, though, showed something much worse. Her lungs did not appear at all. Instead we saw air pockets in odd places. The staff suggested barium X-rays, suspecting that her diaphragm was ruptured and abdominal contents were up in her chest. My son and I waited longer in the exam room while Josie received more X-rays. I had to break it to him gently. "This is probably not good," I said. "At her age ..."
The vet came back with an older man, the clinic owner, who was in running clothes. He also explained the X-rays and said to know for sure what was going on, we'd have to let the barium work its way through Josie. So we could go home and wait for his call. When he called, the news was catastrophic. She did indeed have a ruptured diaphragm often seen in dogs that get hit by cars or kicked by livestock. A medical emergency. But he guessed Josie was much younger than what we thought, and in great shape. Surgery, however, would cost thousands of dollars. We had to have a family meeting. We were in agreement: We could not possibly afford surgery. When the vet called back, I was too upset to talk to him so my husband had to tell him all we could do was have the dog put to sleep. I was embarrassed to think the vet heard the kids (and me) sobbing in the background. So she was gone, just like that, just as unexpectedly as she had showed up when she jumped out of Eli's truck and ran right over to the kids to play with them. That night I went out to do chores without Josie. The stars were still big and bright but the farm seemed so empty without her. No Josie to chase rabbits or shout down the coyotes howling from the woods. Gone. Just gone. We cycled through all stages of grief -- disbelief and anger at Josie for doing something foolish enough to get injured, then acceptance that she was an old dog and we could not possibly afford surgery. One of the boys went out and started digging a grave for her. The next morning I called the vet's office. "We were wondering if we could pick up the body," I said in a tired voice. The receptionist paused. "The doctor would like to speak to you." "We mulled this over and decided, as a Christmas present to you, to do Josie's surgery for no charge." I was sobbing (again.) "She's still alive?" That was an emotional picture of the resurrection. Josie had not physically died but in our hearts we had given her up for dead. To find out otherwise was a great joy. Also, the vet's offer illustrated grace and mercy. We could not possibly pay for her surgery, but the vet did it anyway as a gift. Then there was the power of prayer: After Josie's surgery, the vet said she had a 50-50 chance of surviving since her injuries were more extensive than he expected. We all prayed and so did family and friends. Four days later she was home with us, moving slowly, but back with her "pack." Jesus used parables in his ministry to reach his listeners' hearts and souls. Now my family has a living, furry parable snoring on her Cincinnati Reds blanket on our couch. As a newspaper columnist and writer of two Christmas novellas, I, like many preachers, often have struggled to find new themes and creative ideas for a subject that has dominated December for hundreds of years. One method I use is to approach a very traditional subject in a somewhat less traditional--okay, downright weird--way. I did so in the following column I called "Manger Madness." It was a silent, holy night. Heavenly music encircled the darkened church sanctuary like a golden Christmas ribbon. Worshipers breathed the spicy green fragrance of pine wreaths and garland. I saw the church children’s choir director slip into the front pew. She threw me a weary glance over her shoulder. After a month of Christmas practices, she gladly would have exchanged places with the New Testament martyrs, who faced only lions. Later she told me about an earlier dress rehearsal. The Shepherds clobbered the Three Kings with their crooks. Having missed naps, the cranky angels refused to sing. When the director and her helpers herded the entire nativity scene into the restrooms for a last potty break, five-year-old Joseph dropped his lapel microphone into the toilet and flushed it down. But now, lovely and fragile as a Victorian Christmas card, “Silent Night’s” melody tinkled as the children entered. The three-year-olds kneeled with hands—or paws—at their sides before the manger, adorable in furry puppy costumes. A multitude of lovable bunnies, teddies, kittens, and lambs, along with two cows (complete with udders) and a two-kid camel crowded around the manger. A curly-haired Mary and Joseph (minus microphone) hovered around the pastor’s baby girl in the manger, who followed the script, sleeping sweetly. Lights went up on the big-eyed heavenly host, who actually stood still on boxes behind them, raising small, chubby arms in holy benediction. A supernatural tranquility pervaded the scene. The choir director bowed her head. I marveled at the miracle. “You’re in my place.” The thin whisper from the stage pierced the gentle quiet like a broken bell. “You’re in my place! Move!” One of the bunnies elbowed the large teddy bear near her. He glanced her way. Obviously, the only way to deal with an angry woman was to ignore her. He did so, to his peril. 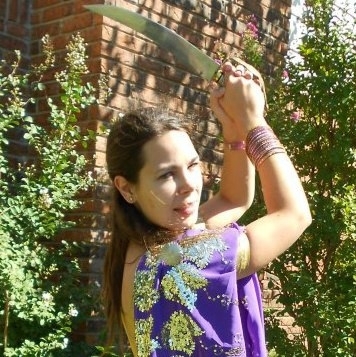 “Move!” she yelled, and swung a right that would have put Evander Holyfield to shame. The teddy collapsed into a heap, knocking the camel flying. The entire animal group crashed down like dominoes, only to rise for a battle that resembled Gettysburg in a petting zoo. The shepherds and kings tackled each other, the angels wailed. Baby Jesus, enraged at the disturbance, let the entire world know what she thought of the whole shebang. Obviously, she’d never learned the second verse of “Away in a Manger,” because everybody knows the Little Lord Jesus never cried. And Baby Jesus came on a Silent Night, when all was “calm and bright.” His teenaged mother never sweat during her labor. She did not scream that she didn’t want to birth the Son of God in a smelly, disgusting stable, and why hadn’t Joseph made reservations? Baby Jesus came to clean-shaven Shepherds who used Right Guard. He arrived in picture-book Bethlehem and made His home in a world as perfect and peaceful as a Christmas nativity scene. Maybe the little kids got it right, after all. How do you make your Christmas stories/articles unique? Like several other recent HI bloggers, I found myself on my blog's eve without a blog. 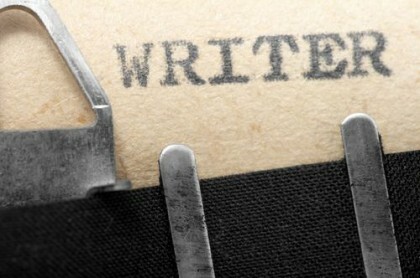 But as you know, a writer is never without words, new or old. So I share here one of the first person stories from my book, Women of the Last Supper (4th edition, 2012). At this time of year when we joyfully celebrate the glories of Christmas, it seems appropriate to remember the story of Mary, Jesus' amazing mother. . . . Enjoy and Christmas Blessings! in Colorado Springs which I visited during Thanksgiving. See my Facebook cover photo for the whole portrayal. I am Mary of Nazareth, the mother of Jesus. Yes, I was a mother uniquely blessed, but also one acquainted with deepest grief. My soul still magnifies the Lord when I recall the extraordinary events of my life. For whoever would have thought on that first Christmas that Yahweh would choose someone from Nazareth to bring into the world the Messiah – Jesus, our Savior and Redeemer! Joseph’s family and mine were from the Tribe of Judah. We were both descendants of the royal line of David. Had we lived before the terrible wars and captivities of the Jewish people, we would have been called Prince Joseph and Princess Mary. Ponder that a moment – makes the title Prince of Peace for my son Jesus more meaningful, doesn’t it? Ah yes, because of Jesus, our family life was divinely blessed, with never a dull moment. Looking back, I can see that for years he practiced telling parables and working miracles on us – and on other people and even animals. So it’s not surprising that in time, Jesus’ woodworking skills surpassed even Joseph’s. I remember the day he told his disciples that his “yoke was easy.” I couldn’t help smiling as I thought of the Galilean men who waited months to purchase yokes carved by Jesus. He was famous for his yokes that made burden bearing so much easier for oxen, as well as humans. While life with Jesus was wonderful, I’d be wrong to give the impression it was stress-free. Remember the time he stayed in Jerusalem at the Holy Temple, and frightened Joseph and me so? Nor was that the last time I didn’t know where he was for days or even weeks at a time. But I learned not to worry, and to commit him to God, his true Father in heaven. Like everyone else, I wasn’t sure how Jesus’ divine calling to deliver his people would be manifested. I kept waiting and watching and wondering. Then one day at a wedding reception feast in Cana, I felt something within compelling me to urge Jesus to reveal his heavenly purpose. If you aren’t familiar with the story, review it in my nephew John’s Gospel. The wording is somewhat puzzling, but the outcome is clear. In spite of his reluctance, Jesus’ divine ministry began publicly with that miraculous water-to-wine wedding event. From then on, the few years left to Jesus on earth passed so quickly. As you might expect, right from the beginning of Jesus’ ministry, I was his most loyal follower – and one of his first women disciples. Yes, Jesus had his band of twelve men disciples. But as the Gospels state, there were many others who were also his close disciples, including numerous women. When you read the Gospels carefully, you will note that many of us women were with Jesus right before his last Passover supper with the Twelve. And we were there right after the Last Supper, as well as throughout the dreadful events that followed. So where were we women disciples during the Last Supper? Don’t you suppose we were there then too, together with the men and Jesus? Don’t you suppose we prepared the Passover and served it as we had served countless other meals? Of course, we were there, as ancient paintings of the Last Supper in Europe portray so magnificently. We just weren’t there in da Vinci’s famous mural on the wall of the monastery dining hall in Milan – the artwork that has dominated perceptions for far too long. On that unforgettable Passover night, in my heart I sensed Jesus would not become our Messiah in the way we had expected. He would not become a human King of the Jews. When he was put on trial for blasphemy, and then so cruelly tortured and crucified, my soul was pierced. Ah, what agony! Just as Simeon had prophesied decades before. But I never stopped trusting. I knew Yahweh would keep His promise to me and to all the world. And God did, through His Holy Son, who was also my beloved son – my precious baby born on the first Christmas who became the risen Lord and Savior of all who believe. Yes, I was an ordinary person transformed by God's power. You, too, can experience this transformation, and live or die for the glory of the Kingdom! There are so many good things to say about Julie Klassen’s newest book, The Tutor’s Daughter, which released on the first of this month. First of all, it takes place in a large English manor on the rocky coast of blustery Cornwall, England. Secondly, it’s set in the Regency Era—one of my favorite genres ever. Thirdly, in my honest opinion, Julie Klassen is one of the best authors out there writing for the inspirational market. And fourthly, it was absolutely perfect in every way. Emma Smallwood is the tutor’s daughter. A good number of the characters in this book have known her since they were all adolescents together, she having acted as her father’s assistant at his Smallwood Academy (a boy’s school) for most of her life. With the death of her mother still fresh in her father’s heart, he hasn’t been as active in securing students for the school—so when he’s invited by the Weston family to come to their home in Cornwall to teach the youngest of their sons. He goes quite readily, taking Emma with him and springing her right back into the lives of two of her father’s favored students from the past: Henry and Phillip Weston, the two elder sons. I loved that Emma was so prejudiced toward Henry because of the pranks he’d played on her during his time at her father’s school, and so very caught up in Phillips easily-offered friendship and flirtations. Of course, she knows she could never marry either one of them; not when their father is a Baronet and she was merely the tutor’s daughter. I loved the array of characters in this book. There were quite a few of them, but they each one of them were needed for the intense, mysterious story to play out to perfection. It was a very complex plot of characters and happenings which culminated into a most sigh-worthy end. I was given a paperback copy of this book by Bethany House in order to read and give my honest review for a LitFuse Publicity Blog Tour (which I will be participating in sometime during January). I was also given an eBook version by NetGalley for the same reason. I give Julie Klassen’s The Tutor’s Daughter 5 Stars. Julie Klassen's The Girl in the Gatehouse is FREE today for Kindle and Nook devices. The last month has been a trial for me--illness, broken furnace, broken fridge/freezer/birthdays/hospital stays/broken toe---well, let's just say my deadline is now upon me and here I am on 12/12/12. Ok, then. So, I'm late in the day posting, but I'm reprising an article I wrote a few years ago when I spoke to teens about writing. I interviewed several authors and got their advice for teens--and frankly, their advice works for any new writer--whether teen or octogenarian. Maybe some of these will help spark your writing. Also, if you know some teen writers, there are some great web sites below you can send them to get more encouragement. Hope everyone has a Merry Christmas and No Troubles, too! A funny thing happened on the way to Deuteronomy. Halfway there, “All the skilled women spun with their hands…all the women whose heart stirred with a skill spun the goats’ hair” (Exodus 35:25, 26) caught my eye. I was impressed. I read on. Why? What is God doing? He is commissioning His people to build and supply the tabernacle, a tent for His dwelling among them and the place for His people to meet Him. Everyone went home to search their souls and their tents. Then, “everyone whose heart stirred him and everyone whose spirit moved him came and brought the LORD’s contribution for the work of the tent of meeting and for all its service and for the holy garments” (v. 21). They returned with gold jewelry, exotic fabrics and skins, rare oils and spices, and precious stones. But giving was only the beginning. These precious materials were distributed to skilled men and women. Here, “skilled” literally means wise of heart and “heart stirred with a skill” literally means lifted them up in wisdom. Doesn’t their example beckon you? Out of a stirred spirit and a moved heart you, too, may bring a precious gift to the same LORD, for His service. But bringing Him this gift is only the beginning. You are also invited to develop it by a wise heart. And not only you: just as Israelites worked together on projects, so you gather with like minded writers; and just as the Israelites were taught by Bezalel and Oholiab in the arts, so you may teach and be taught your craft. As your heart is “stirred with a skill” you will also find you are lifted in wisdom. Not for your glory but for the glory of your God, who brought you out of slavery and set you free. What skill has the Lord entrusted to you? What would it look like to bring it to him? How could you take it in hand and develop it? Whom could you teach and whom could you learn from? Does the cost kindle fear? If yes, that original destination in Deuteronomy—Moses’ last counsel to all Israel—can quench it: “Be strong and courageous, do not be afraid or tremble at [the nations], for the LORD your God is the one who goes with you. He will not fail you or forsake you…the LORD is the one who goes ahead of you; He will be with you. He will not fail you or forsake you. Do not fear or be dismayed” (31:6,8).